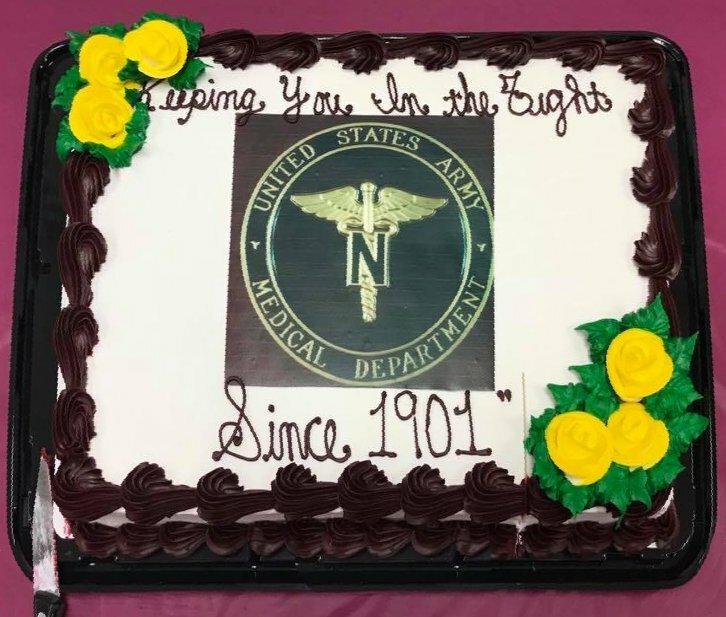 This February, in locations throughout the world where Army Nurses are assigned, cakes such as this one at Rader Army Health Clinic were ceremonially cut in honor of the 117th Anniversary of the founding of the Army Nurse Corps. 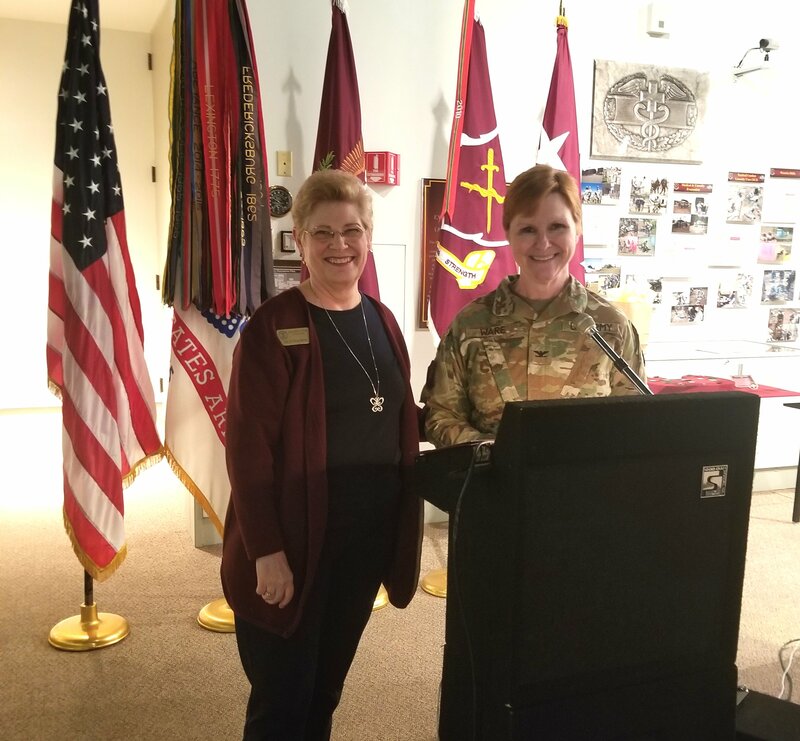 The AMEDD Center and School's celebration was held at the AMEDD Museum at Ft. Sam Houston. COL Risa Ware, ANC Corps Specific Branch Proponent Officer, shown here with ANCA President-Elect COL (Ret.) Nancy Molter, gave an address on being in the fight. 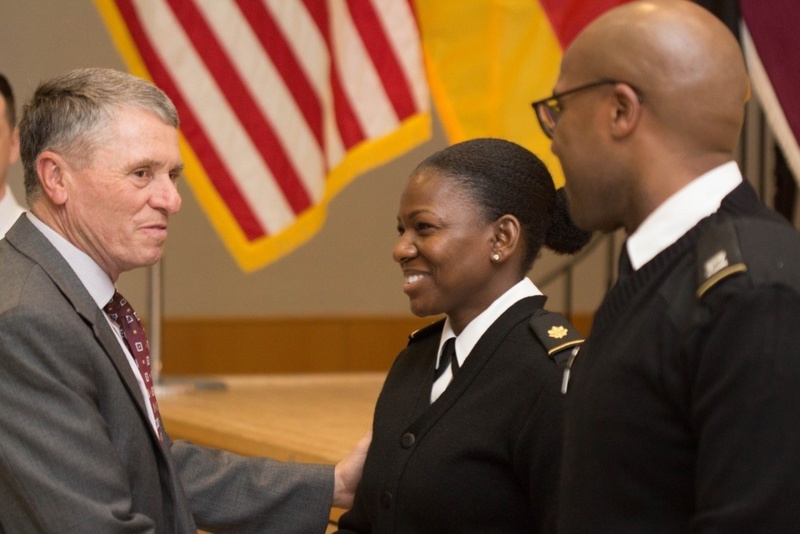 At the AMEDD C&S event, COLs (Ret.) 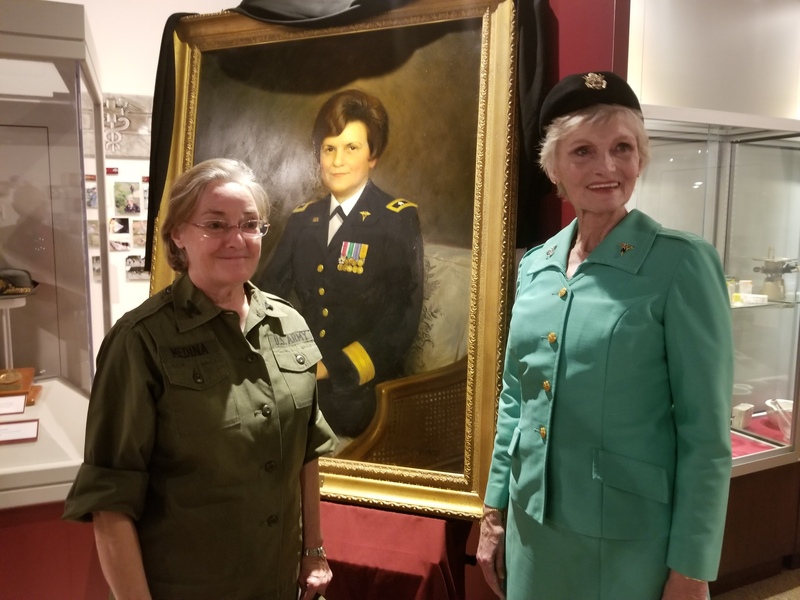 Barbara Conrad McKinley and Judith Richtsmeier modeled past ANC uniforms alongside the portrait of the late BG Anna Mae Hays. Other past uniforms were modeled by present ANs at the event. 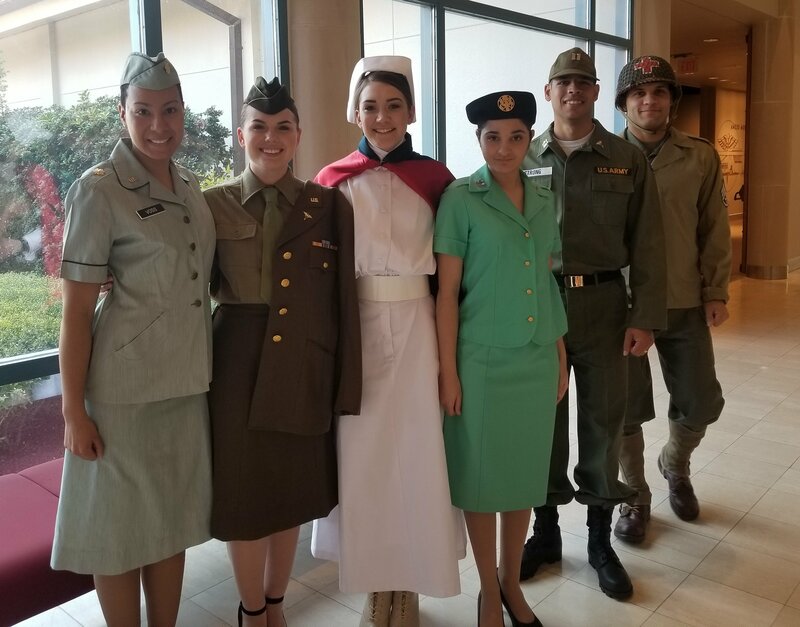 Brooke Army Medical Center Staff ANs model past uniforms, with guest speaker MG (Ret.) Jimmie Keenan, 4th from left. Joined by COL (Ret.) 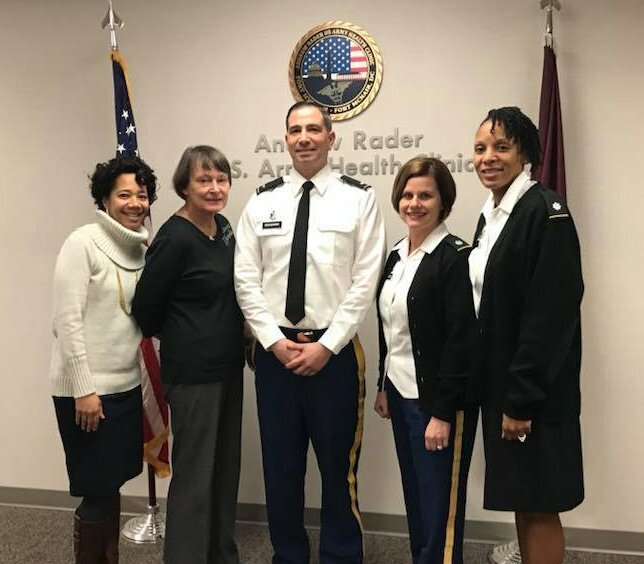 Lori Fritz, ANCA Region II Director (in pink, center), the nursing staff of Ft. Belvoir Community Hospital celebrate the ANC anniversary. 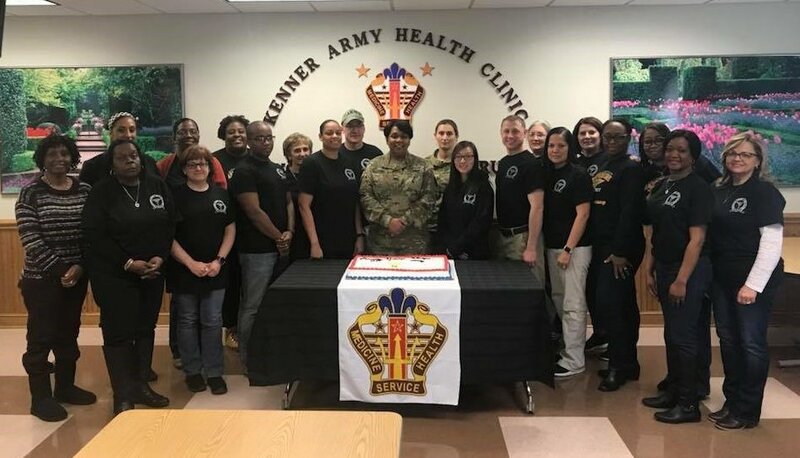 The nursing staff of Kenner Army Health Clinic, Ft. Lee, VA, at their ANC anniversary celebration. 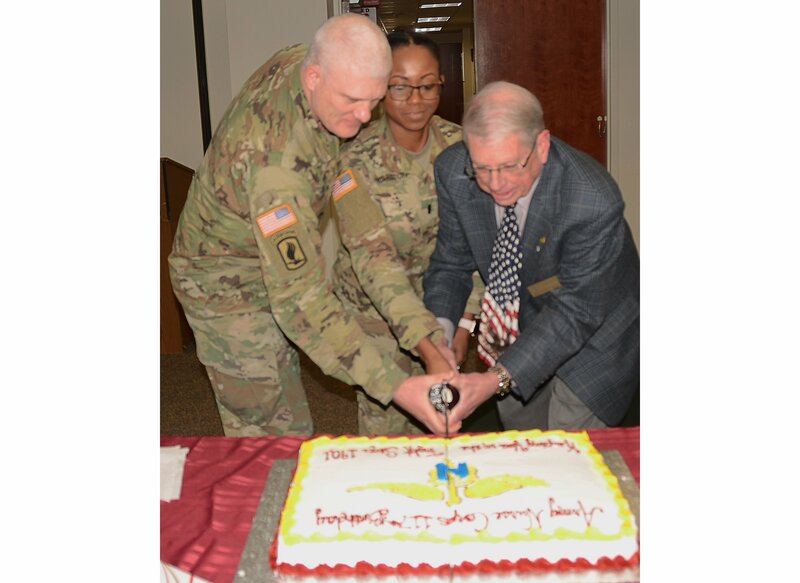 Cutting the cake at Kimbrough Army Care Clinic, Ft. Meade, MD, are (L-R) COL Allen Smith, Chief Nursing Officer, 1LT Thornton, and ANCA President COL (Ret.) Roy Harris. 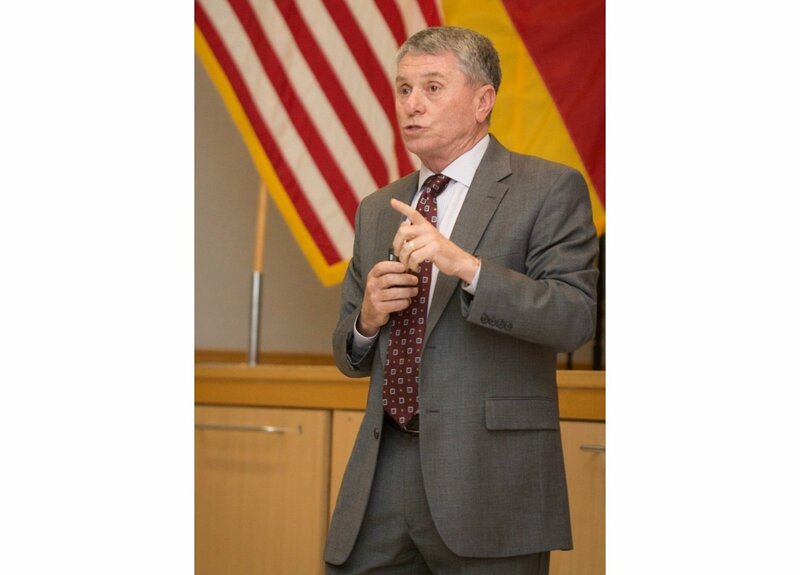 At Landstuhl Regional Medical Center, BG (Ret.) 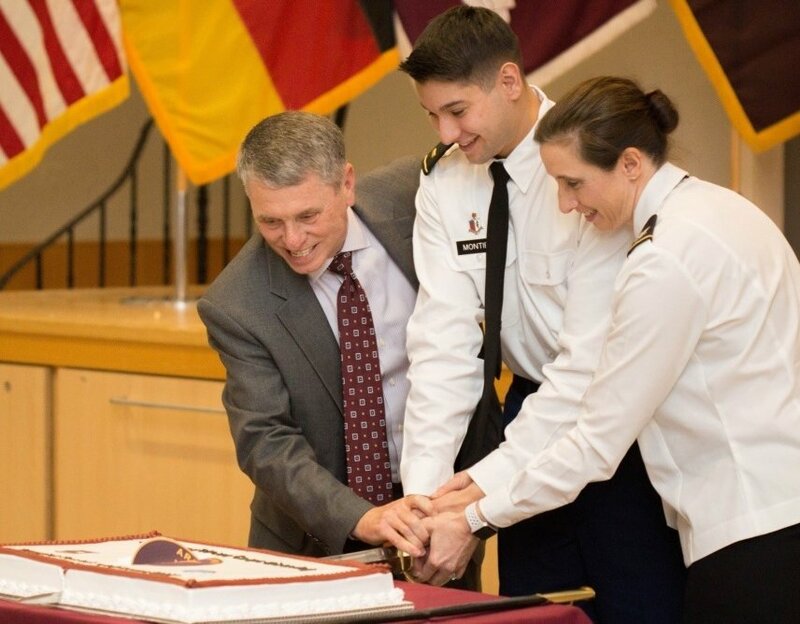 William Bester, 2LT Addison, and COL Michelle Munroe cut the cake. 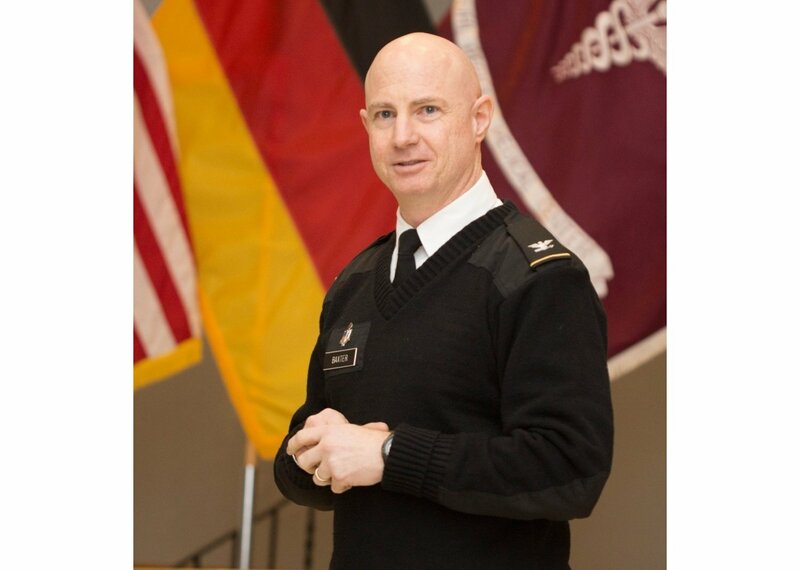 COL Andrew Baxter, Regional Nurse Executive at Regional Health Command Europe, addresses the attendees at Landstuhl RMC. BG (Ret.) 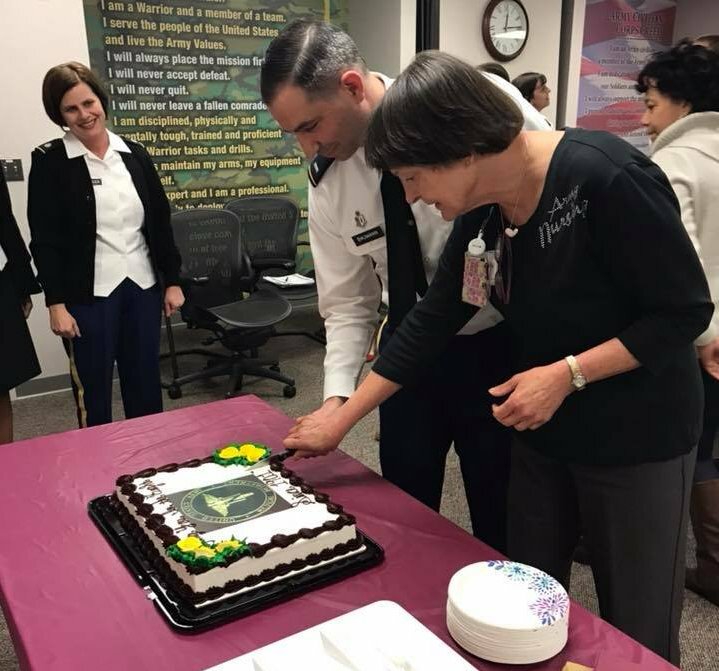 William Bester, former Chief, Army Nurse Corps, speaks to the LARMC staff during their ANC Anniversary celebration. BG (Ret.) 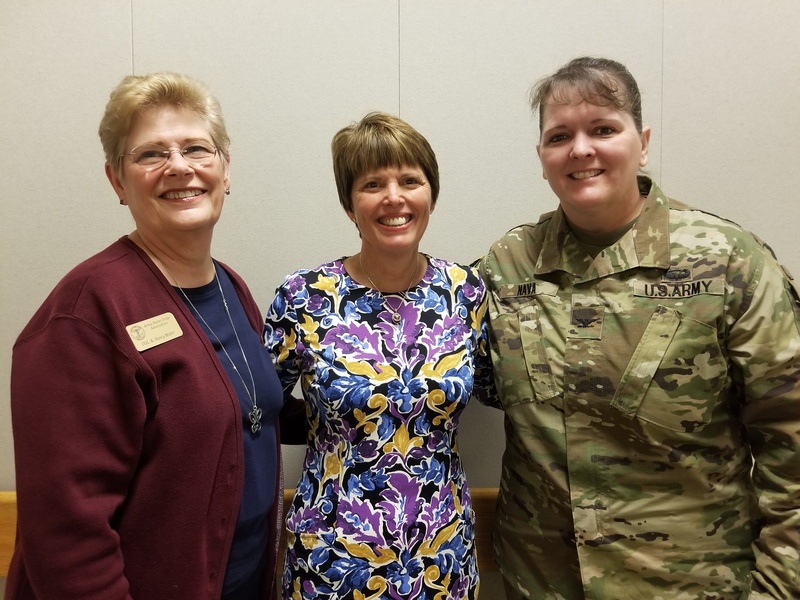 Bester presents coins to MAJ Jennifer Givens and CPT Marqus Berry during the LRMC ANC birthday celebration. 1LT Richard Baumann and ANCA member LTC (Ret.) 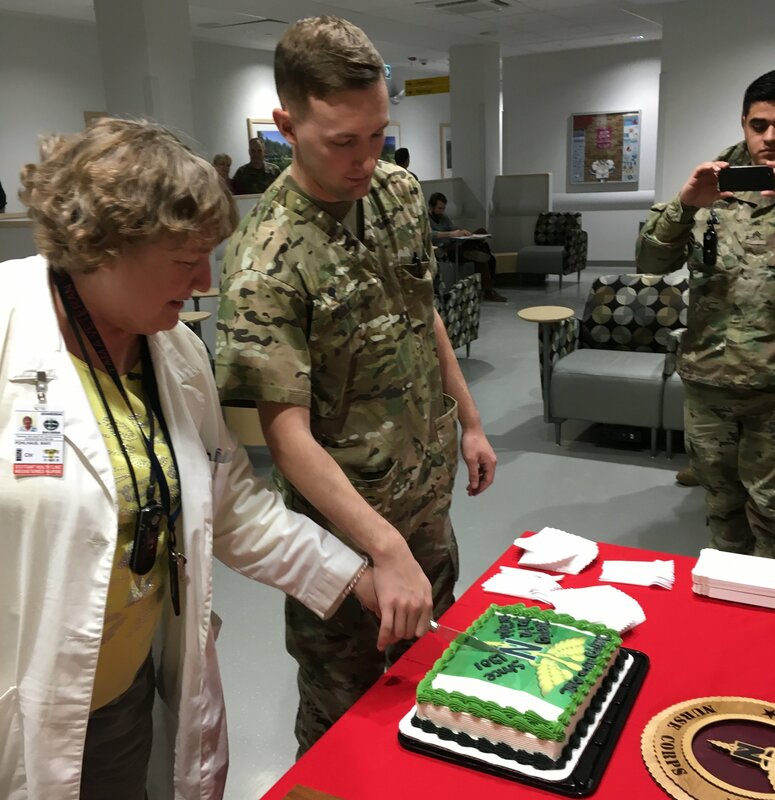 Kathy Kingsford cut the cake at Rader Army Health Clinic, Ft. Myer, VA.
At the Rader AHC celebration: Marcia Flagg; LTC (Ret.) 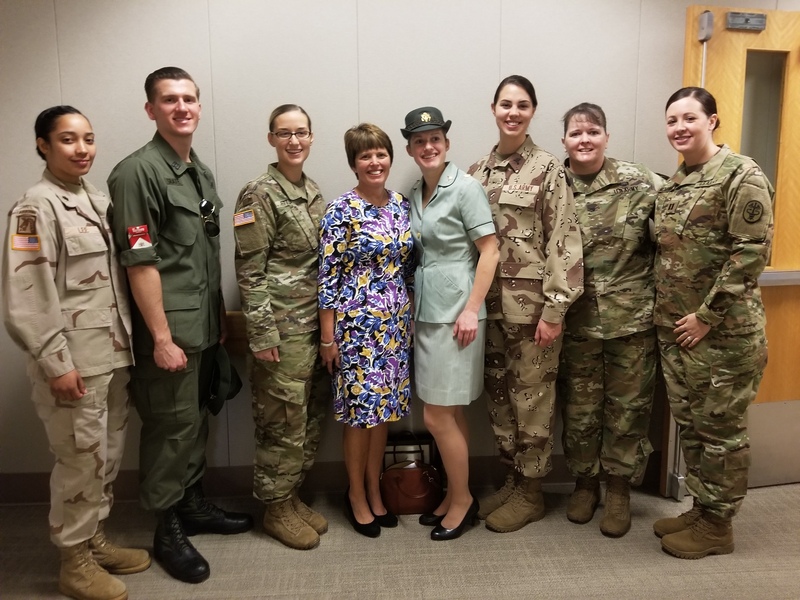 Kathy Kingsford; 1LT Richard Baumann; LTC Kathy Spangler, Clinic Commander; LTC Wendy Gray, Clinic Chief Nurse. 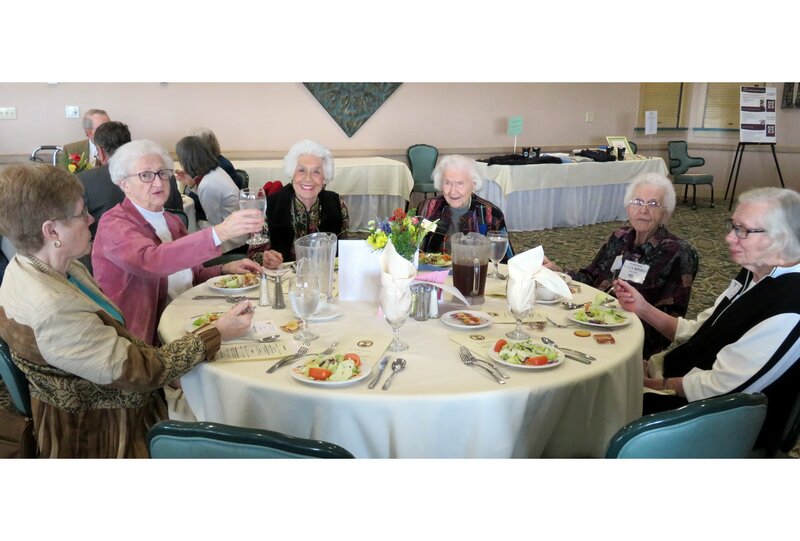 Part of the Rader AHC events was a "Lunch and Learn" book club review of Colin Powell's "It Worked For Me." At the ANCA 117th Anniversary celebration in San Antonio, COL (Ret.) 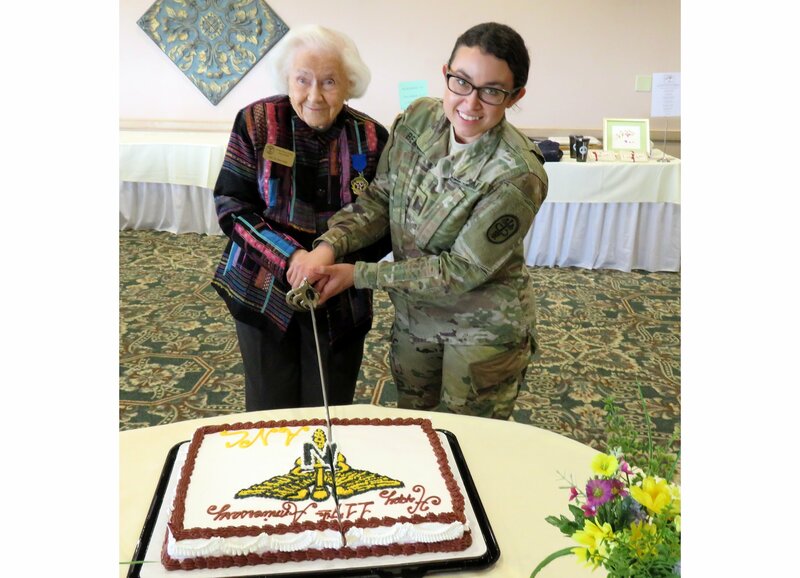 Doris Cobb and 1LT Gabriella Reagan cut the cake. 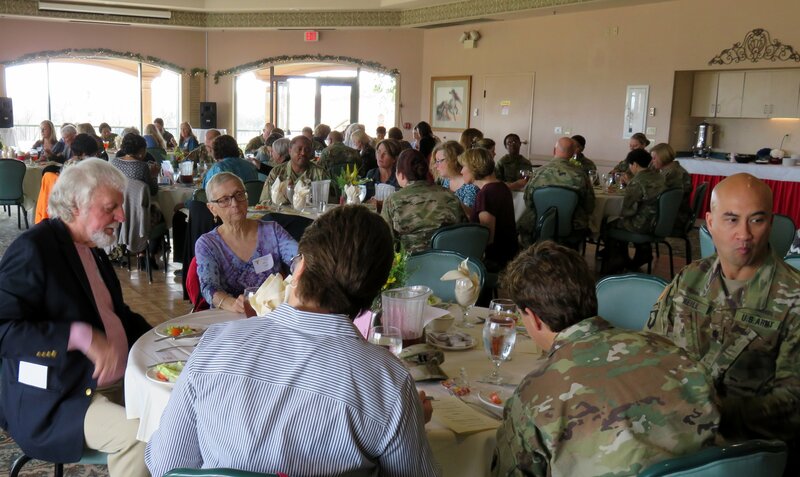 The ANCA 117th Anniversary celebration in San Antonio was held at the Ft. Sam Houston Golf Clubhouse. 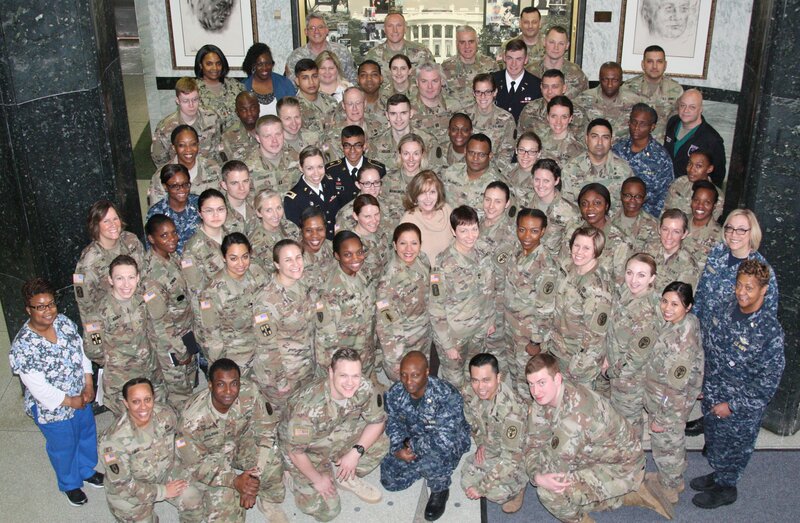 At the Stuttgart, Germany, Army Health Clinic, LTC (Ret.) 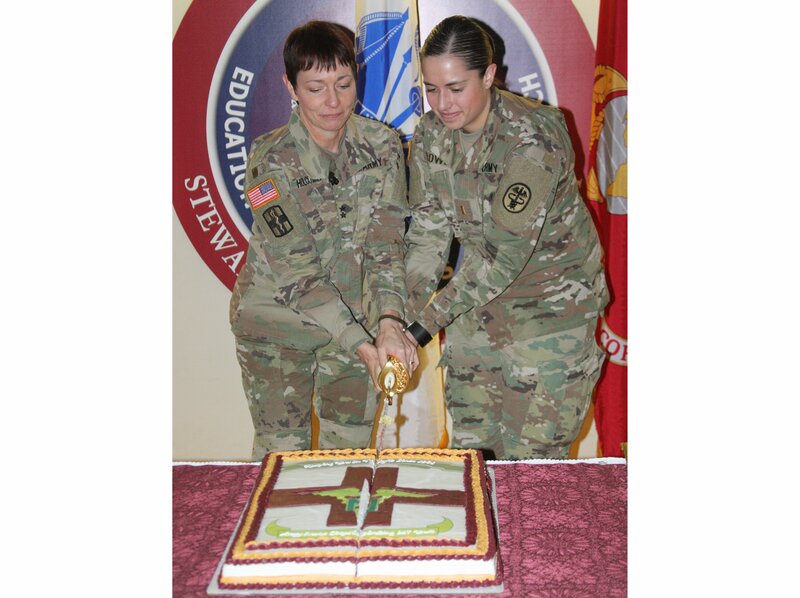 Mari Pohlhaus and SPC Jeremy Pogue share the cake-cutting duty. 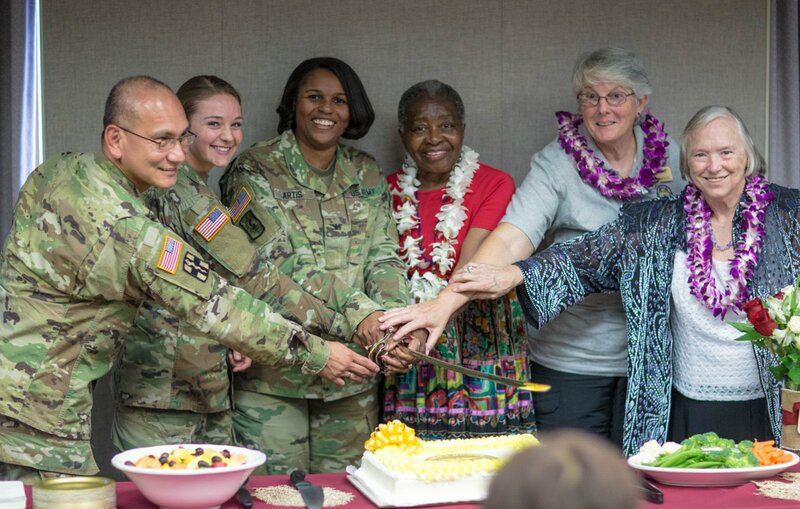 Cutting the anniversary cake at Tripler Army Medical Center is a group effort: COL Bob Gahol, 2LT Specht, COL Lloynetta Artis, BG (Ret.) Clara Adams-Ender, COL (Ret.) Teresa Parsons and LTC (Ret.) Ruth Stepulis share the duty. BG (Ret.) 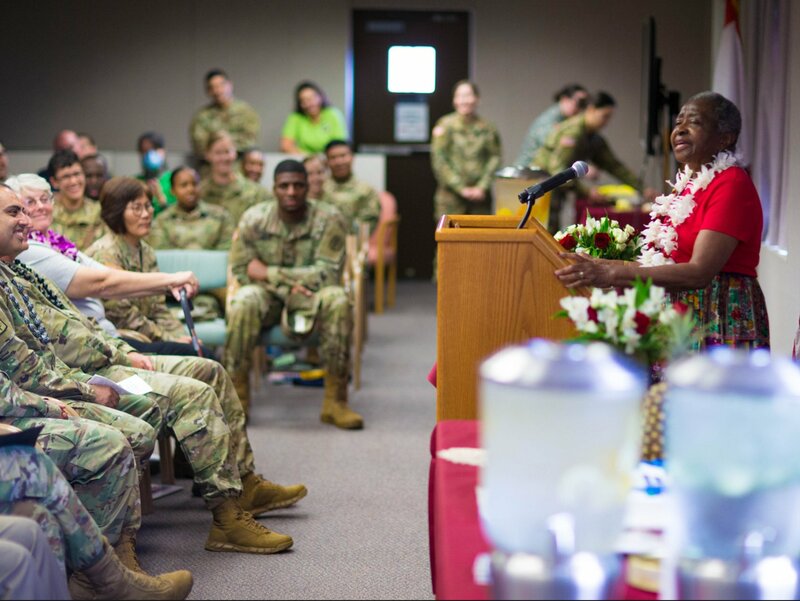 Clara Adams-Ender, former Chief, Army Nurse Corps, addresses those attending the TAMC event. 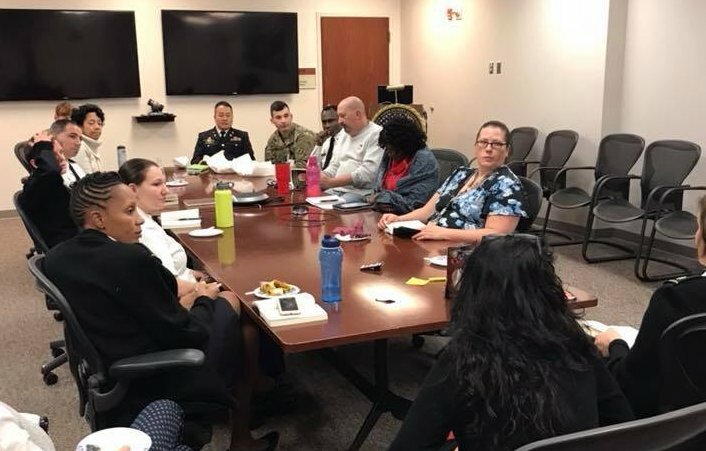 Some of the Navy staff at Walter Reed National Military Medical Center join in the ANC's celebration of its anniversary. The WRNMMC cake is cut by the Chief, ANC, MG Barbara Holcomb and 2LT Amy Holpuch. 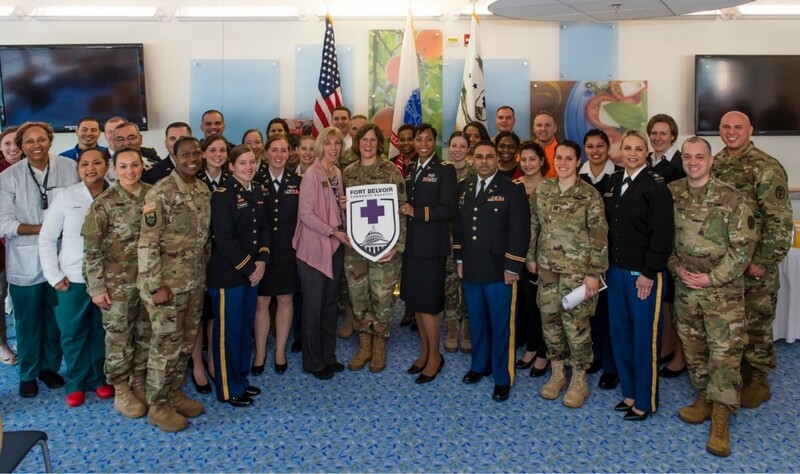 "Keeping You in the Fight Since 1901" was the theme of the 117th anniversary of the founding of the Army Nurse Corps as Army Nurses and their colleagues and friends around the world celebrated the event this year.